Next Day Air revolves around a chase for drugs on in urban streets. It's no laughing matter when delivery driver Leo leaves a package of cocaine at the wrong address. Two lucky thugs open the package and have plans to profit from someone else's precious drug possessions. An honest mistake from a delivery man turns into a chain of events involving drug original dealers, intended empty handed recipients and lucky criminals that received the cocaine package. The clock is ticking as everyone involved in the search for a missing drug shipment turns violent and sometimes crazy. 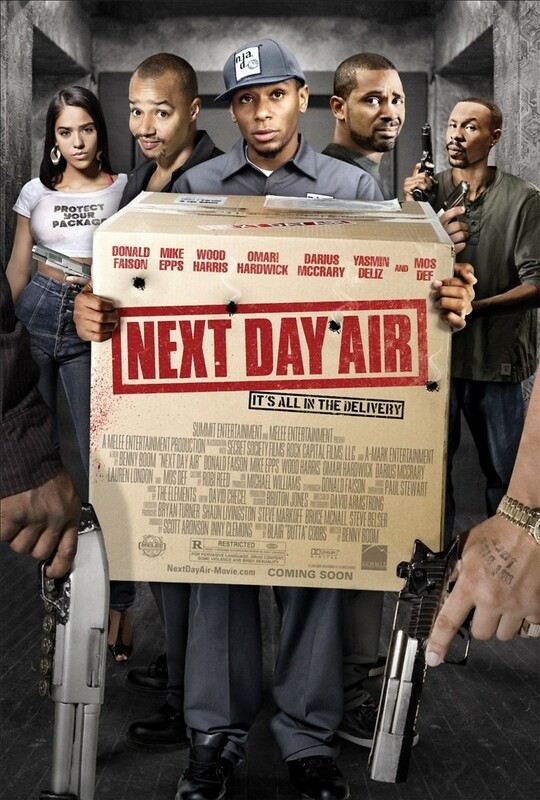 Dangerous car chases and gun shootouts are only part of the thrilling and comedic action of Next Day Air.